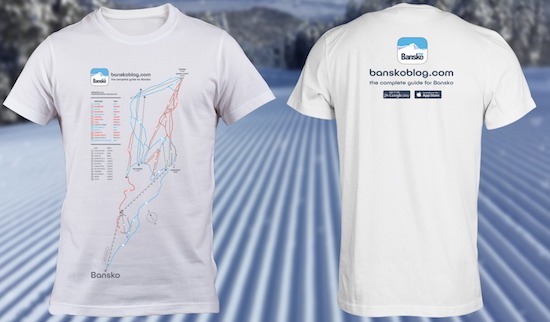 The Bansko limited edition piste map T shirts are here to order (click here). 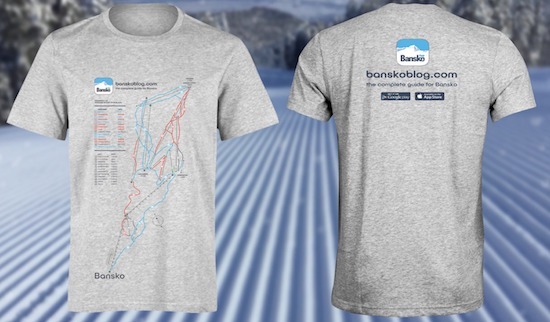 With our own unique special design with Bansko piste map on the front and the Bansko App logo on the back, you can be proud that you, and your fellow Bansko freaks, can share the Bansko passion. Wearing the memory of Bansko all year round makes your T shirt a great talking point. Like so many things in life, organising T shirts is more complicated than you think. First, the printing had to be absolutely done right. Normal T shirt printing would not do because to keep the fine lines of the lift and pistes, we had to find a laser printing house. Secondly, I had to test colour fastness by washing five times. I’m fussy; I love high quality things. and I’m pleased to say that these T shirts are of high quality, 100% cotton and super soft. They are still looking good and crisp after all my testing. 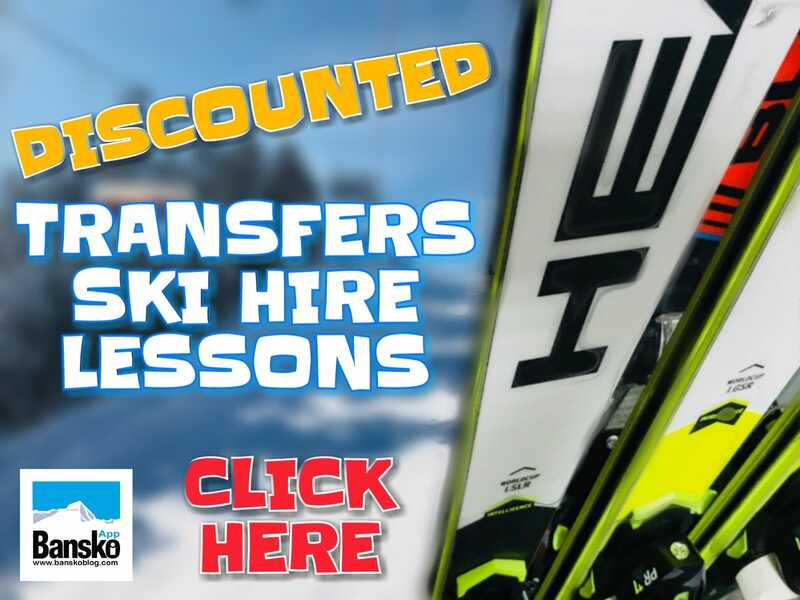 I, and the Bansko Blog team, think that they’re so good you’ll want to order a few extra for yourself, for friends and for family birthday presents, Christmas presents and anniversaries. This first edition, “All The Trimmings” T shirt design is perfect for reliving your ski holiday. It was the most popular option when I presented four designs to followers of the Bansko Blog facebook page. The “All the Trimmings” T shirt design, with piste map on the front and logo on the back, price is €18 + postage and packing €4. BONUS Offer: The post and packing fee of €4 remains the same, irrespective of quantity ordered. We will have in-app ordering (download: http://bit.ly/BanskoAppiOS & http://bit.ly/BanskoApp_Android) live in the top banner very soon. Require children’s T shirt? Then drop us an email and we’ll try and arrange that, Provide the size (white only). Should we run out of stock, and unable to supply you, we reserve the right to refund you 100% of the amount you paid. Currently in Bansko and looking to buy T shirts? Then email or call +359 892 348 600. 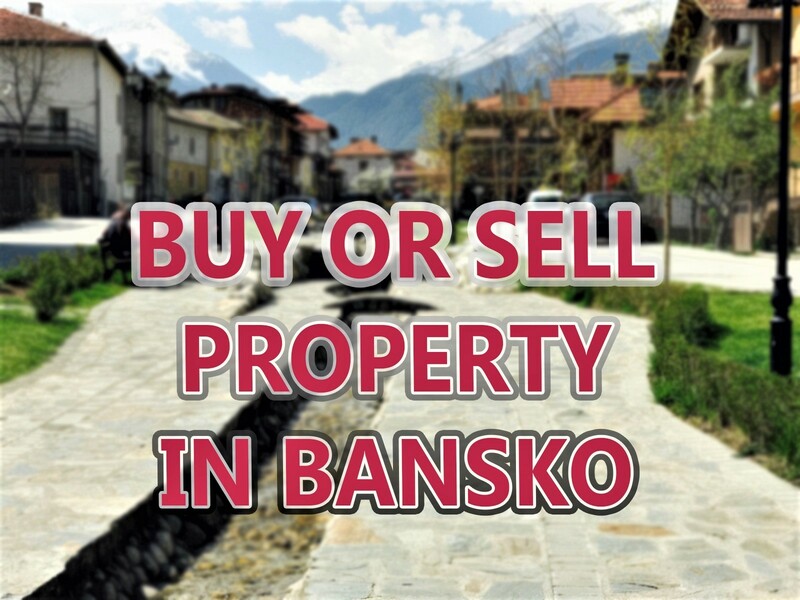 To be notified of Bansko news, then be sure to sign up to our newsletter. Never any spam and you can opt out any time.